2009 provided plenty of interesting news in Blaine County. In February, Sun Valley hosted several competitions for the 2009 Special Olympics World Winter Games. 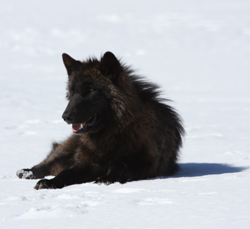 In March, members of the Phantom Hill wolf pack moved into the central Wood River Valley, feeding on elk that had sought refuge at lower elevations. One was seen taking a rest in Golden Eagle subdivision south of Ketchum. In July, hundreds gathered in Hailey to show support for Pfc. Bowe Bergdahl, a soldier from the Hailey area who was taken captive in Afghanistan by the Taliban. The pages of this special issue provide a closer look at the events that stirred our emotions or changed our lives in 2009.